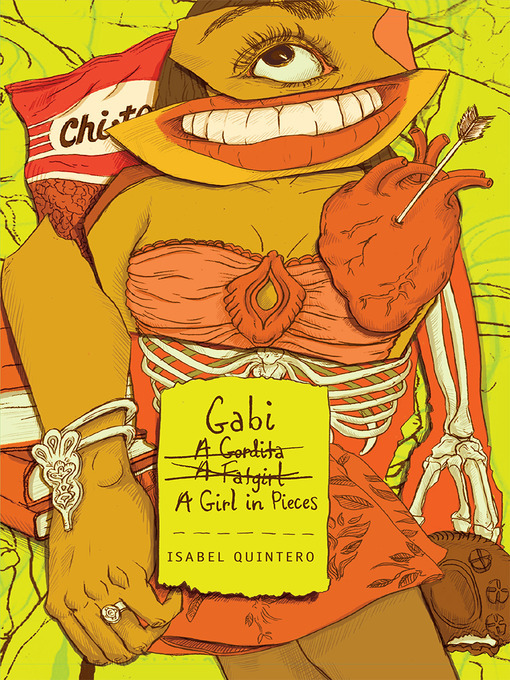 Gabi Hernandez, as the book cover indicates, has a lot going on. She's a light-skinned Mexican-American fat girl with a meth addict dad and one best friend who's pregnant and another whose coming out is not well-received by his parents. The novel takes the form of a diary Gabi keeps during her senior year of high school. There are boys, bullies, conflicts with friends, death, college applications, a judgy tía with problems of her own. What helps Gabi sort her way through the challenges of the year, in addition to hot Cheetos, is poetry. She has a favorite teacher who introduces her to haiku, spoken word, and zines. Gabi makes a zine about her intersecting identities, even, nbd.